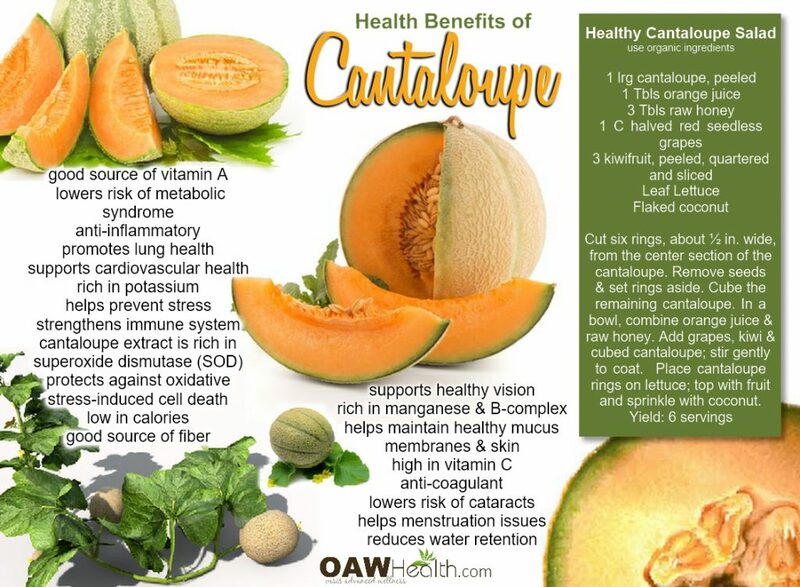 At first the health benefits of cantaloupe may not seem as many as with other fruits. Coming in at a low 54 calories per cup, it provides 78% of vitamin C. Cantaloupes are “in-season” June – August. Cantaloupes are members of the cucurbit family of plants (Cucurbitaceae). The cucurbit family of plants includes cucumbers, pumpkins, squashes, gourds as well as a long list of melons. Melons in the same plant family with cantaloupe include watermelon and honeydew melon, along with crenshaw, casaba, Persian, and canary melon. Many of the members of the cucurbit plant family easily cross-pollinate which results in many different hybrid melons in the marketplace that combine features of true cantaloupe with features of these other melons. Nutrient diversity is probably the most overlooked when discussing the health benefits of cantaloupe. 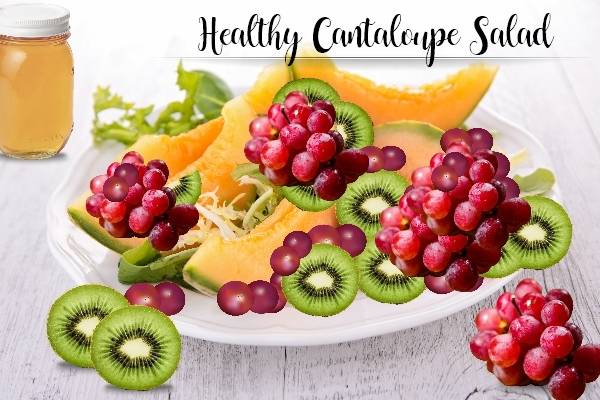 Cantaloupes contain good potassium levels, and moderate levels for some of the B vitamins (B1, B3, B6, and folate) as well as vitamin K, magnesium, and fiber. 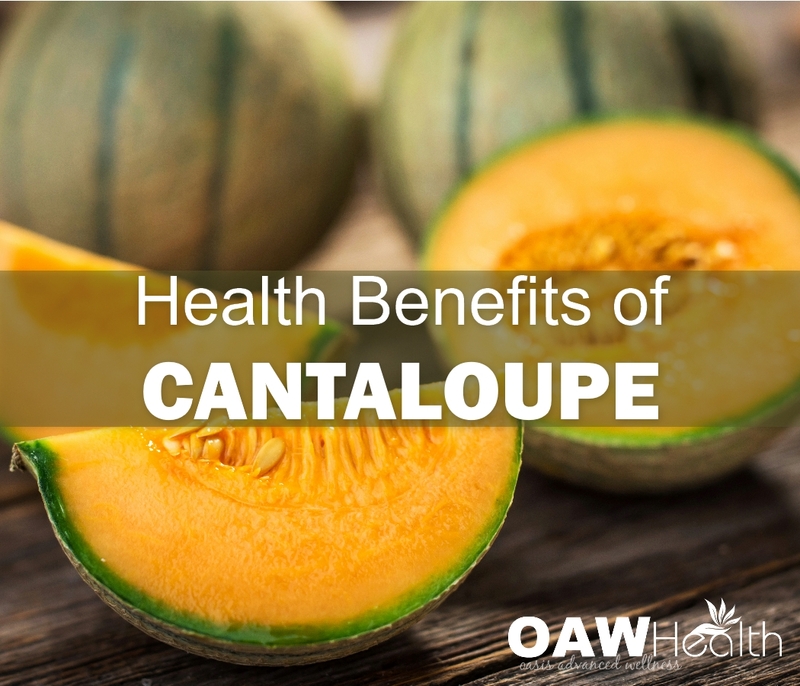 When the edible seeds of the cantaloupe are eaten, an added benefit is a measurable amount of omega-3 fat in the form of alpha-linolenic acid. The cantaloupe contains more beta-carotene than alpha-carotene. But because it contains both, it also contains both of their derivatives, including lutein in the case of alpha-carotene and beta-cryptoxanthin and zeaxanthin in the case of beta-carotene. These carotenoid phytonutrients are joined by the flavonoid luteolin, antioxidant organic acids including ferulic and caffeic acid, and anti-inflammatory cucurbitacins, including cucurbitacin B and cucurbitacin E.
Another fascinating aspect of cantaloupes is that it has been found to lower the risk of metabolic syndrome. In a study involving hundreds of women living and teaching in Tehran, Iran, the lowest risk of metabolic syndrome was found to occur in women who ate the greatest amount of fruit. 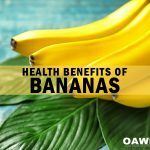 (“greatest amount” means a minimum of 12 ounces per day – for this particular study) The five fruits that contributed most to total fruit intake were: apples, grapes, cantaloupe, watermelon, and bananas. 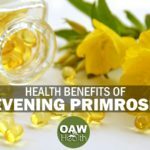 Women who consumed the largest amounts of these fruits were also found to have the healthiest levels of C-reactive protein in their bloodstream. C-reactive protein is an indicator used to assess levels of inflammation. It’s very possible that the anti-inflammatory phytonutrients in cantaloupe and the other fruits contributed not only to these participants’ healthy levels of CRP but also to their decreased risk of metabolic syndrome. 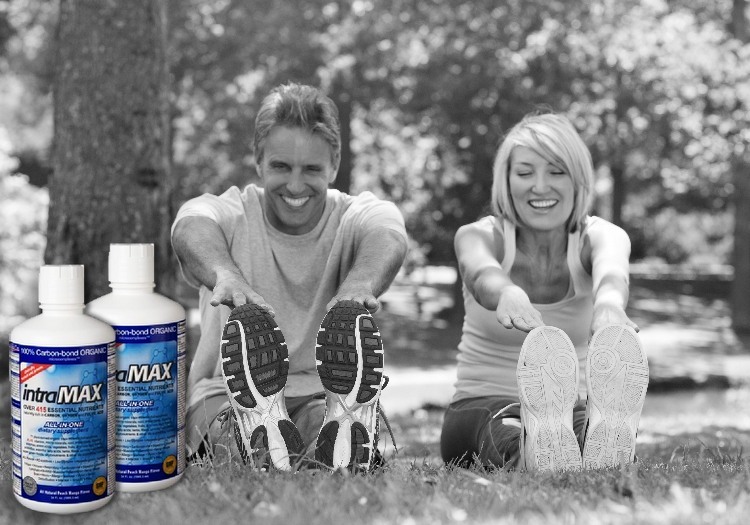 Superoxide dismutase (SOD) is an enzyme that helps manage your body’s levels of superoxide by converting superoxide to hydrogen peroxide. The hydrogen peroxide is then neutralized by the enzyme catalase. The cantaloupe extract oxykine has been found to be rich in superoxide dismutase. 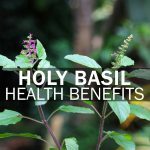 SOD is one of the body’s primary internal anti-oxidant defenses. Studies have proven that cantaloupe SOD extract promotes cellular antioxidant activity and protects against oxidative stress-induced cell death. Superoxide Dismutase plays a critical role in reducing the oxidative stress implicated in atherosclerosis and other serious diseases. Studies have shown that SOD can play a critical role in reducing internal inflammation and lessening pain associated with conditions such as arthritis. Other foods that contain SOD include barley grass, wheatgrass, broccoli, Brussels sprouts and cabbage. Cut six rings, about ½ in. wide, from the center section of the cantaloupe. Remove seeds & set rings aside.Cube the remaining cantaloupe. In a bowl, combine orange juice & raw honey. Add grapes, kiwi & cubed cantaloupe; stir gently to coat. Place cantaloupe rings on lettuce; top with fruit and sprinkle with coconut. Amaro AL, Beaulieu JC, Grimm CC et al. Effect of oxygen on aroma volatiles and quality of fresh-cut cantaloupe and honeydew melons. Food Chemistry, Volume 130, Issue 1, 1 January 2012, Pages 49-57. Brat P, George S, Bellamy A et al. Daily Polyphenol Intake in France from Fruit and Vegetables. The Journal of Nutrition136. 9 (Sep 2006): 2368-73. Daniel CR, Prabhakaran D, Kapur K et al. A cross-sectional investigation of regional patterns of diet and cardio-metabolic risk in India. Nutr J. 2011; 10: 12. Published online 2011 January 28. doi: 10.1186/1475-2891-10-12. de Melo, MLS, Narain N and Bora PS. Characterisation of some nutritional constituents of melon (Cucumis melo hybrid AF-522) seeds. Food Chemistry, Volume 68, Issue 4, March 2000, Pages 411-414. Gonda I, Bar E, Portnoy V et al. Branched-chain and aromatic amino acid catabolism into aroma volatiles in Cucumis melo L. fruit. J Exp Bot. 2010 Feb;61(4):1111-23. Epub 2010 Jan 11. Hu FB and Willett WC. Fruit and vegetable intakes, C-reactive protein, and the metabolic syndrome. Am J Clin Nutr, Dec 2006; 84: 1489 – 1497. Ismail HI, Chan KW, Mariod AA et al. Phenolic content and antioxidant activity of cantaloupe (cucumis melo) methanolic extracts. Food Chemistry, Volume 119, Issue 2, 15 March 2010, Pages 643-647. Ismail M, Mariod A, Bagalkotkar G et al. Fatty acid composition and antioxidant activity of oils from two cultivars of Cantaloupe extracted by supercritical fluid extraction. Journal: Grasas y Aceites Year: 2010 Vol: 61 Issue: 1 Pages/record No. : 37-44. Karakaya S, Kavas A, El NS et al. 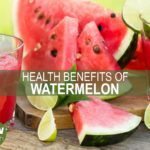 Nutritive value of a melon seed beverage. Food Chemistry, Volume 52, Issue 2, 1995, Pages 139-141. Laur LM and Tian L. Provitamin A and vitamin C contents in selected California-grown cantaloupe and honeydew melons and imported melons. Journal of Food Composition and Analysis, Volume 24, Issue 2, March 2011, Pages 194-201. Milind P and Kulwnt S. Musk melon is eat-must melon. Int Res J Pharm (IRJP) 2011, 2(8): 52-57. Naito Y, Akagiri S, Uchiyama K et al. Reduction of diabetes-induced renal oxidative stress by a cantaloupe melon extract/gliadin biopolymers, oxykine, in mice. Biofactors. 2005;23(2):85-95. Napier AB, Crosby KM and Park SO. Identifying Molecular Markers Correlating with High Beta-carotene Content in Muskmelon. HortScience, Jul 2006; 41: 1049. Paris HS, Amar Z, and Lev E. Medieval emergence of sweet melons, Cucumis melo (Cucurbitaceae). 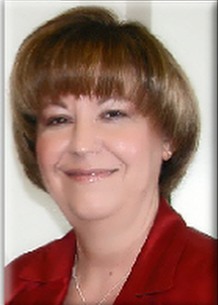 Ann Bot. 2012 Jul;110(1):23-33. Epub 2012 May 30. Parmar HS and Kar A. Possible amelioration of atherogenic diet induced dyslipidemia, hypothyroidism and hyperglycemia by the peel extracts of Mangifera indica, Cucumis melo and Citrullus vulgaris fruits in rats. Biofactors. 2008;33(1):13-24. Sebastian P, Schaefer H, Telford IR et al. Cucumber (Cucumis sativus) and melon (C. melo) have numerous wild relatives in Asia and Australia, and the sister species of melon is from Australia. Proc Natl Acad Sci U S A. 2010 Aug 10;107(32):14269-73. Epub 2010 Jul 23. Ukuku DO and Sapers GM. Effect of time before storage and storage temperature on survival of Salmonella inoculated on fresh-cut melons. Food Microbiology, Volume 24, Issue 3, May 2007, Pages 288-295. Vouldoukis I, Lacan D, Kamate C et al. Antioxidant and anti-inflammatory properties of a Cucumis melo LC. extract rich in superoxide dismutase activity. J Ethnopharmacol. 2004 Sep;94(1):67-75.